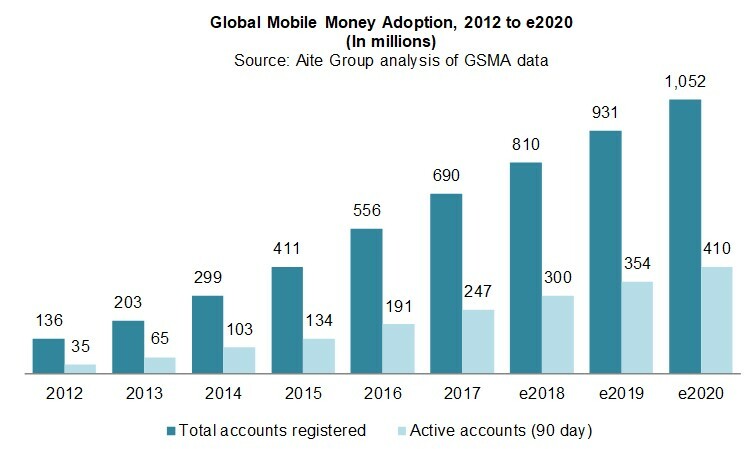 Mobile money provides a road to financial inclusion for billions of unbanked people in emerging markets. Boston, June 7, 2018 – Two billion adults did not have access to an account at a financial institution in 2014, predominantly in emerging markets; however, the situation had significantly improved since 2011, when 2.5 billion people were excluded from banking services. One of the main drivers of this improvement in financial inclusion was the increasing adoption of mobile money accounts and related financial services. Mobile money offers a new opportunity to financial service providers, companies, and public authorities to reach billions of underserved people around the world. This report will illuminate how a new payment ecosystem can be developed using mobile money. It is based on market intelligence and insights developed by Aite Group from current and previous research, as well as available public sources, and it is focused on emerging markets in Africa and Asia. This 24-page Impact Note contains six figures and four tables. Clients of Aite Group’s Retail Banking & Payments service can download this report, the corresponding charts, and the Executive Impact Deck. This report mentions Alibaba, HomeSend, HPS, Maroc Telecom, Meditel, Mastercard, MFS Africa, MPCE, Tencent, TransferTo, and Visa.